Live the Heart Healthy Way? Living the heart healthy way in today's high-stress, fast-food world is not easy! Medical knowledge and technology have vastly expanded our ability to help protect our bodies and keep them at their highest level of performance. However, much of this knowledge, technology, and know-how is often lost in medical jargon, poor explanations, and the ever-decreasing ability of doctors to spend quality time with their patients. Doctor, How Do I Live the Hearty Healthy Way? 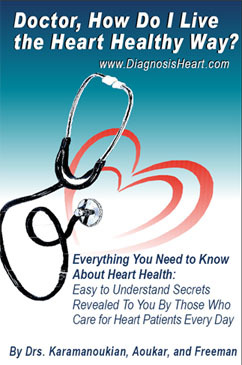 explains heart disease and heart disease prevention in an easy-to-understand way without all the medical mumbo-jumbo. You will learn, first hand from cardiovascular physicians, the latest information about heart disease and its prevention. This book covers information from nutrition, diet, medications, cholesterol and lipid management, medical and surgical treatments and the latest cutting-edge technology available today for treating and diagnosing heart disease. Doctor, Tell Me About High Blood Pressure and Stroke is a comprehensive guide intended to help those who either suffer from or have family members afflicted with these diseases. Millions of people worldwide suffer from both high blood pressure and stroke, and now, for the first time ever, Dr. Reyzelman and his team provide all the medical information on these two disease entities in a quick and easy to understand format. Using the latest evidence-based medicine from leading experts and publications such as the New England Journal of Medicine and Neurology, Dr. Reyzelman et al clearly explain what it means to have high blood pressure and stroke. This book even covers the medical information you need to know -- previously available only to doctors. You'll learn everything from how to recognize and prevent high blood pressure and stroke, their relation to each other, the latest medications to treat both diseases, and how to prevent them. 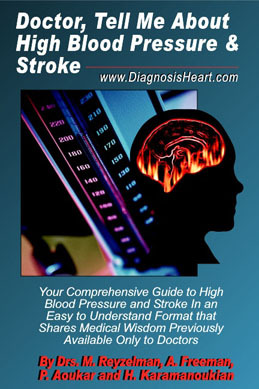 Think of Doctor, Tell Me About High Blood Pressure and Stroke as your A to Z guide on how to live a healthy life! Eating the heart healthy way is a key factor in quality of life and longevity. A strong family history of heart disease has prompted Dr. Pete to combine his love for the culinary arts and his medical degree into an evanescent fight to reduce cardiovascular disease through prevention and proper cardiac nutrition! This unique book includes over one-hundred, 100% vegan, heart healthy recipes that you won't find anywhere else. Not tasteless veggie dishes -- but food you would find in the most elegant of restaurants -- extraordinarily tasty, easy to prepare, beautifully served, and totally good for you. Also included is a guide for living and eating the heart healthy way! (c) 2011 by Dr. Freeman. All Content, Images, and Names are (c) by the above. All Rights Reserved.